HAWAIIAN DESTINATION WEDDING: CONGRATS TO NELSON AND CARELLE JADE!! Check out these following photos from their Times Square engagement shoot and you will know what I mean when I said “this couple is full of energy”. And make sure to check back later this weekend for more images from Maui. 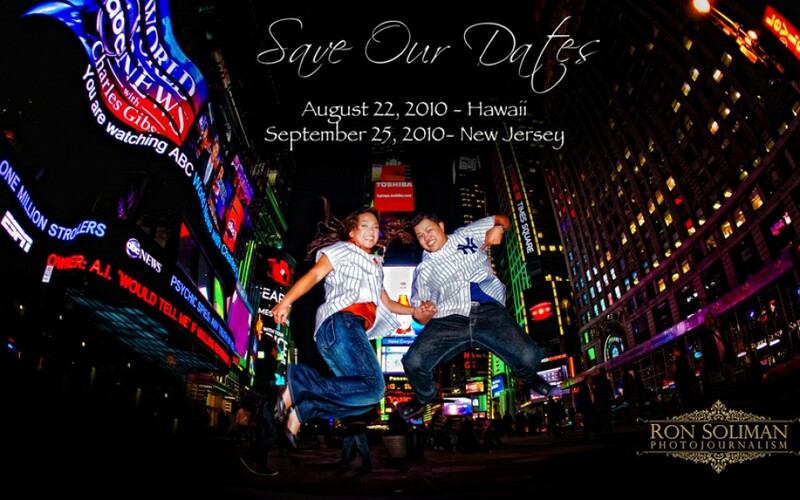 Nelson and Carelle Jade celebrates their team – NY Yankees – with a jump!